According to me, MS Dhoni was a fine choice and deserves the huge pay package. Read my reasoning @ 10 Reasons why Chennai Super Kings bought Dhoni. He also provides the opportunity for the team to be built around him. Joginder Sharma: A bowling all rounder, he became an immediate hero in many Indian homes after an awesome final over in the thrilling India Vs. Australia T20 Semifinal. 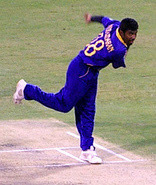 He proved that it was not a one-off performance when he bowled the final over in T20 finals too. But his limited international experience is not enough to provide a clear picture of his ability and hence it is better to wait and decide his utility to Chennai Super Kings later. Suresh Raina: His stint at Indian Cricket team was not enough to satisfy the selectors. An electrifying fielder known to hit stumps regularly, his abilities in field does not compensate for such a high price. Though he has age on his side(21 years), he still has a long way to go with regard to his performance. Verdict: $650,000 Price Tag is costly for him. Parthiv Patel: I am not able to find the logic for bringing Parthiv Patel into the team. He may be an attacking batsman and also provides the option of a reserve wicket keeper + opener. But still I would have prefered Dinesh Karthik in the team. If they wanted a reserve wicket keeper batsman, Chennai Super Kings could have picked up Tatenda Taibu for a bargain price rather than bidding such a high price($325,000) for Parthiv Patel. Non-Indian Players: Muralitharan, Hayden, Oram, Fleming, Morkel, Ntini and Michael Hussey. With the upper cap that only 4 overseas players could be a part of the starting XI, the value of an overseas players decreases considerably compared to Indian Players. But still VB Chandrasekhar has made a few good choices over here. Muralitharan: One of the most successful players in the game, He comes to Chennai Super Kings at a bargain price of $600,000, especially if you compare it to the high price ($950,000) that Kolkata paid for Ishant Sharma. With the huge success that T20 offers to slower bowlers, Muralitharan will be the major strike bowler for Chennai Super Kings. A Tamizhan, He also boasts a pretty good economic rate in T2o matches and would be available for the whole series. Jacob Oram: The fact that he would not be available for this year's premier league matches makes it tough to justify his 0.675 Million USD price tag. But still, his multi skills as a batsmen, bowler and fielder makes him a valuable player for any franchise he plays in. Verdict: Tough to justify the high price. But a good player taking future into account. Stephen Fleming: Recognized as the one of the most innovative captains ever, Stephen Fleming will be available for all the matches played by Chennai Super Kings(thanks to his retirement from one day and test cricket). We can hope that he not only gives Chennai Super Kings a solid batting performance in the top of the order but also helps the captain in the field. Verdict: Good decision, though only a few more years of cricket is left in his career. Makhaya Ntini: Though Makhaya Ntini comes at a price of 1/5th of a Million USD (Lowest among the 11 players), there is still a question lingering whether he deserves such a high price. Young Days, when Makhaya Ntini can run in all day, on all surfaces, with pace and aggression is behind him. And Still he does not have swing or variations in his bowling arsenal. His inability to find a place in the South African squad for the last 2 matches bore testament to his declining utility for any team. Albie Morkel: Even cricinfo called his $ 675,000 price tag as a bizarre bargain. But still, he is an useful all rounder with a great future before him. Verdict: Bizarre Bargain but he has got potential to justify the high price. My Dark Horse for the most valuable player in the team. Michael Hussey: The last player to be picked by Chennai Super Kings in the auction, his price could have been much higher if he had made the decision to stay away from Pakistan tour, like his colleague Symonds. Still, he could be expected to put his team's performance before his. Verdict: Bargain Price but he may not play in any of the premier league matches for the next 2 years. There ends my opinion... Time to hear yours regarding Chennai Super Kings' Selection and Bidding price for various players. Your comment about Parthiv Patel is spot on. I never understood why he was in the Indian team and less so when it comes to T20. He has sieves for gloves and his batting is not too exciting anyway. The batting looks great and the fielding department is also well set. If there is an area of concern, it is the fast bowling. I am not convinced that Ntini, Morkel, Oram and Sharma are good enough to bowl under pressure. Murali, of course, is a class act. Yeah. Bowling (Fast & spinner) is the area of concern.. I hope Sudeep Tyagi would be effective in the fast bowling dept.. But except for Murali, Chennai Super Kings does not have any bowler of repute.. How the locals come good here..